Philadelphia's logical data recovery services. Logical data recovery consists of running special software and programs for the purpose retrieving data or files from missing partitions, formatted partitions, deletion, or even virus corruption. 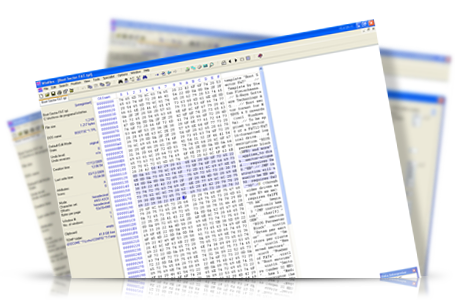 Hex editors are used to carve files from partitions with corrupted file tables. A number of very expensive softwares can be used for different types of files, and file systems in different scenarios. A level 1 recovery is only performed on drives with logical problems. If the drive is failing or has any mechanical problems a level 2 or 3 recovery would be required. Running any type of software on a failing hard drive could be devastating for the drive.